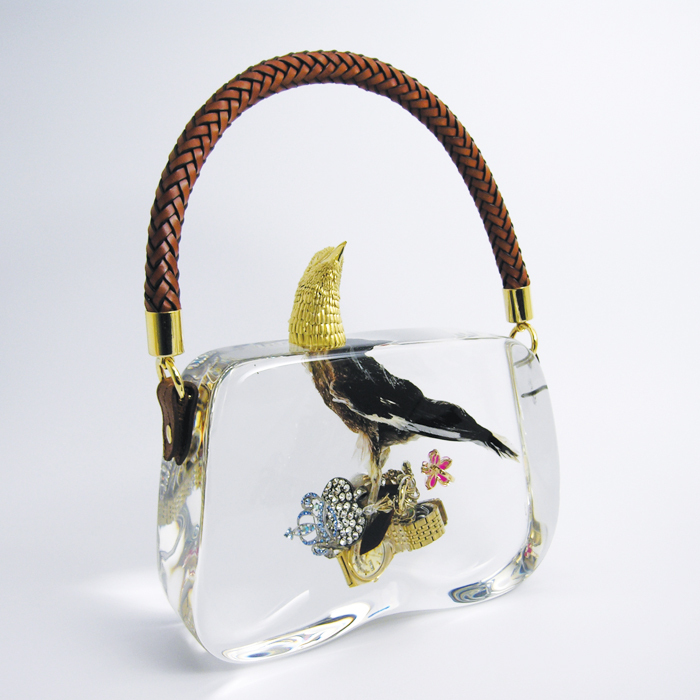 It was a New York Times reporter who noted the trend at the 2013 fair: the headline read ‘Precious Nature at Design Miami’. 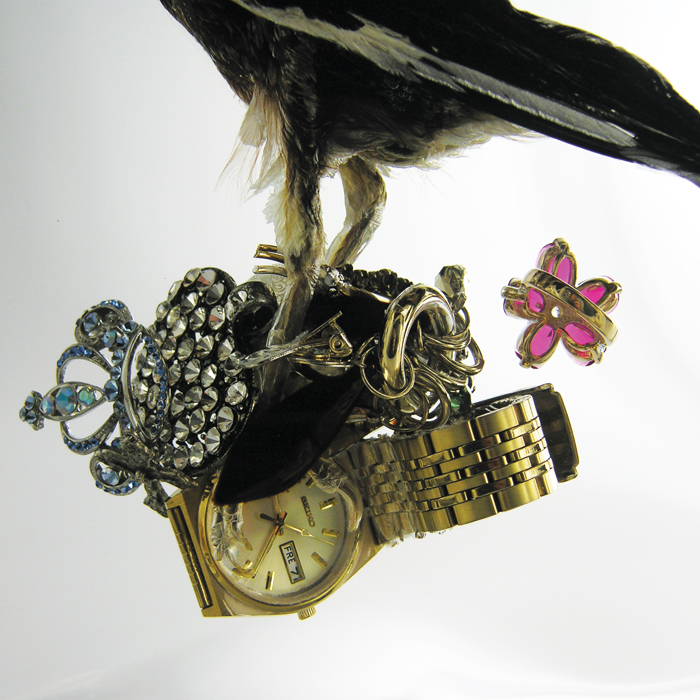 The article mentioned three participants by name; one was Ted Noten, in connection with his work for Ornamentum Gallery. 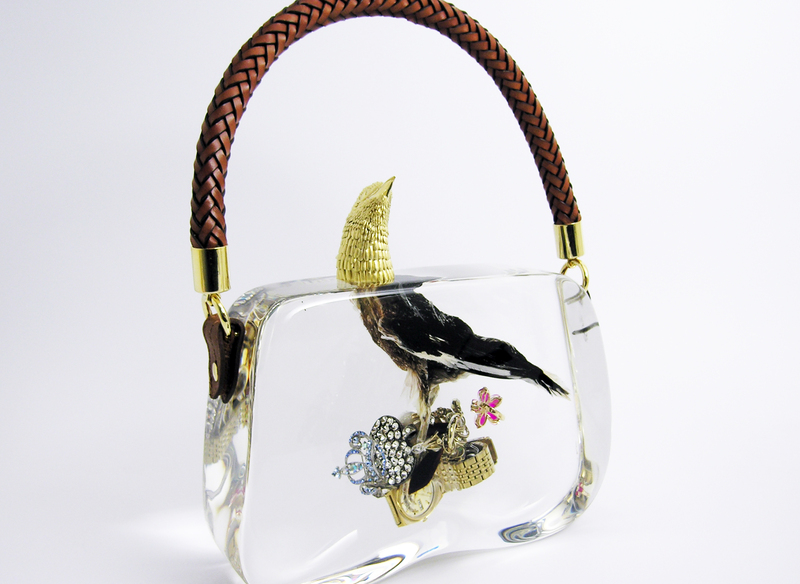 Noten had presented his new Bird Bag, an acrylic bag holding the body of a beheaded magpie-like bird that clutches an assortment of jewellery and a golden watch in its claws. 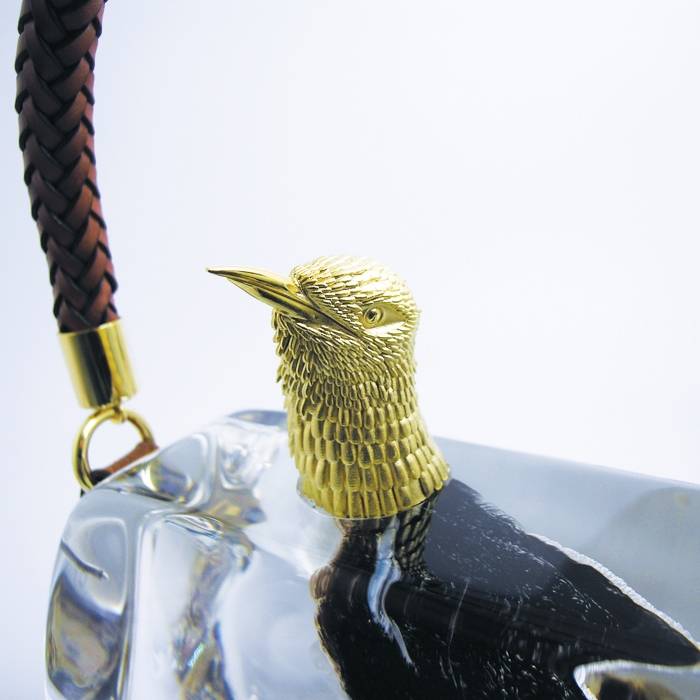 A golden replica of a bird’s head protrudes from the top of the bag, jauntily framed by the braided handle. The work was swiftly acquired for the collection of the Toledo Museum of Art.